The shortage of power and consistent failure in power supply being experienced in Connecticut state is becoming so alarming, as many can no longer afford the basic amenity. To serve the purpose of reducing the cost required to provide consistent, yet affordable facility such as power, a firm in Connecticut state has ventured into this realm. Connecticut is a U.S. state in southern New England that has a mix of coastal cities and rural areas dotted with small towns. Famous for its Seaport museum filled with centuries-old ships, and the beluga whale exhibits at Mystic Aquarium. Within the horizon of Connecticut state, a firm is working to bring down the cost of energy storage, made possible through the use a $27 million federal grant, according to the Hartford Business Journal. Researchers at United Technologies’ laboratory in East Hartford are working with Harvard University, the University of South Carolina and others to come up with a more economical form of the long-duration flow battery. The researchers are working on producing cheaper membrane for flow batteries and are exploring the use of elements such as iron and man-made molecules to bring down costs. Until the moment the provision of this affordable means of power supply is made possible, there will always be a cry out from the people of this geographical area, thanks to the good governance that could think for the people, to release the fund for their power up keeping, now everyone is having peaceful mind and being more optimistic while waiting for the soon coming solution to their power problem. Flow batteries have great potential, especially for long duration energy storage applications, but face stiff competition from the lithium-ion battery technology that dominates the market. But several efforts are under way to bring down the costs of flow batteries, which could give them a chance to steal market share from Li-ion. 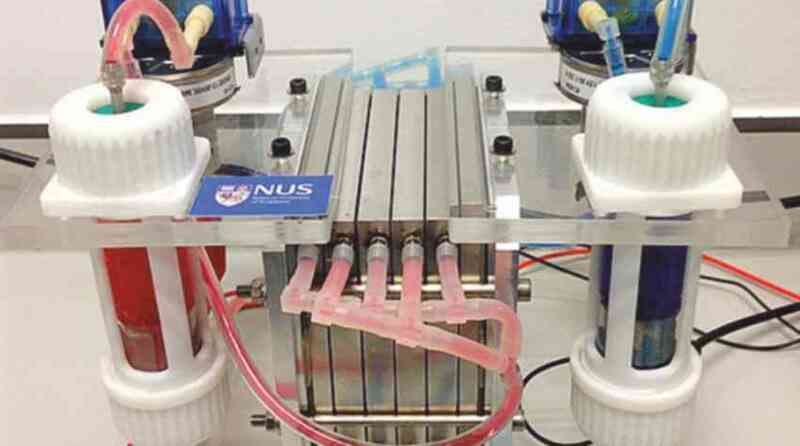 Many of those efforts center on producing flow batteries that use cheaper and less corrosive electrolytic fluids. Currently, vanadium is the most prevalent chemical used in flow batteries. The United Technologies researchers are exploring the use of iron and man-made molecules to bring down cost. Those researchers had previously succeeded in squeezing cost reductions out of flow technology and licensed its technology to Vionx Energy, which has since formed partnerships with companies such as Siemens and 3M. “Renewables have really raised the bar and storage is kind of the missing link for what we do when the sun doesn’t shine,” Mike Perry an electrochemical engineer at United Technologies, told the Hartford Business Journal. The new way for power supply and a constant one at that is coming with a good speed to the people of Connecticut, it is sooner than it is in the mind of the people.